Infusium 23 Repair & Renew Lea.. Product weight is 1.32 lbs. 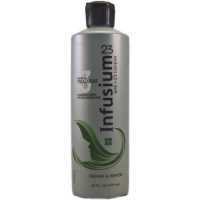 Infusium 23 Repair & Renew Leave In Treatment helps repair damaged hair and protects it from further damage. It infuses the hair cuticles to help strengthen it and foster healthy growth. In combination with the i-23 complex, this serum helps nourish and restore your hair's overall health. It also leaves your hair adequately hydrated and shiny. The i-23 complex is enriched with amino acids, proteins and pro-vitamins. IngredientsWater, Amodimethicone, PEG-40 Hydrogenated Castor Oil, Panthenol, Cetrimonium Chloride, PEG/PPG-18/18 Dimethicone, Polyquaternium-11, Citric Acid, Betaine, Glycerin, Sorbitol, Trideceth-12, PPG-2 Methyl Ether, Serine, Glycine, Glutamic Acid, Arginine, Threonine, Lysine, Alanine, Proline, Hydroxyethylcellulose, PEG-8/SMDI Copolymer, Behenic Acid, Palmitoyl Myristyl Serinate, Oleic Acid, Palmitic Acid, Linoleic Acid, Stearic Acid, Arachidic Acid, PEG-8, Polysorbate 80, Aminomethyl Propanol, Fragrance, Sodium PCA, Methylparaben, DMDM Hydantoin, Disodium EDTA. DirectionsTherapy: Work into clean hair, wet or dry. Comb through to ends to fully protect and improve the appearance of damaged hair. Do not rinse. Style as usual. Can be used throughout the day. 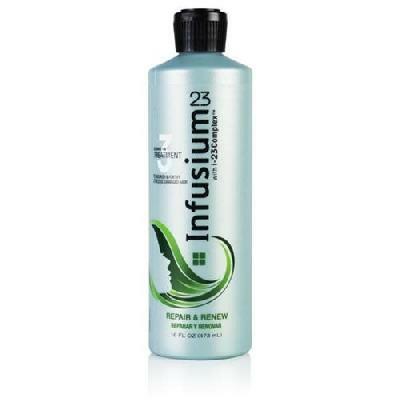 Infusium 23 Leave-in Treatment, with i-23 Complex, Repair & Rene..
My mom used this on my hair when I was little, and I've always come back to it (despite many flings with "fancier" brands.) Currently, it plays a double role - not only to moisturize hair made a bit frazzled by the late (not lamented) swimming season - but also to turn my reluctant locks into something resembling shiny waves and curls. Sprayed on damp hair, a little scrunching action gives separation and shape, a bit of curl, and won't do any harm. 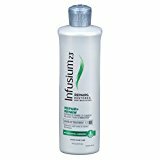 It does..
Infusium 23 Repair & Renew Leave In Treatment, 16 oz (Health and.. I've been using this product for 15 years, I have super thin curly hair, because it's so thin it tends to puffs up like crazy. If you know the three stooges, we'll I'm Larry. I always keep a bottle of Infusium just incase. During the past few months I've tried other products like Fx Curls UP and Tresemme "flawless curls cream" and some root stimulator olive oil cream and ALL are horrible. They all leave your hair either super oily, or as if you put glue in your hair . Very sad..